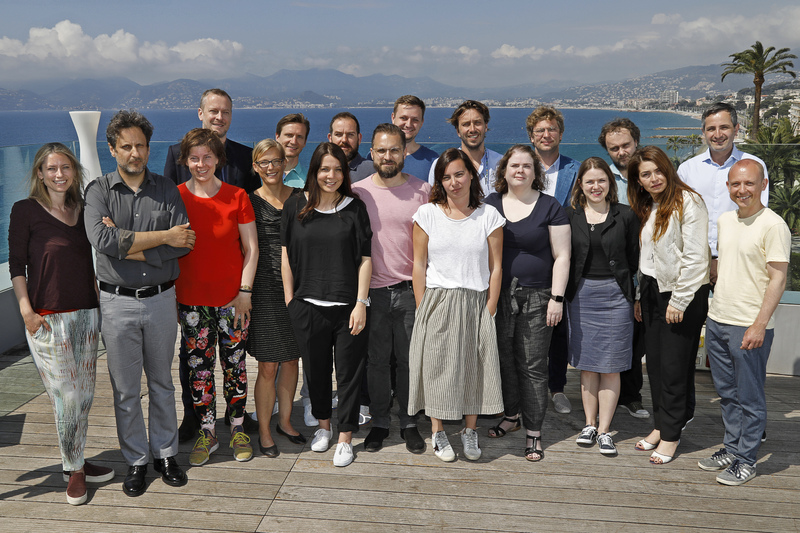 The exclusive group of 20 up-and-coming producers selected for the 19th edition of European Film Promotion's (EFP) networking platform PRODUCERS ON THE MOVE (May 10 - 14, 2018) has come together at the Cannes Film Festival to exchange experiences and find co-production partners for their next trans-national projects. A part of their five-day programme organized by EFP is a case study in cooperation with Eurimages on the film THE HARVESTERS by Etienne Kallos, which is co-produced by Sophie Erbs (France), Giorgos Karnavas (PoM Greece 2013), Konstantinos Kontovrakis (PoM Greece 2014), Mariusz Wlodarski (PoM Poland 2015), with associate producer Dan Wechsler (PoM Switzerland 2011), and will celebrate its premiere in the Un Certain Regard sidebar. Picking up on the ever increasing importance of series production, the participants will also meet with ARTE's Head of Film department Meinolf Zurhorst to get a insight into ARTE's strategies in that field as well as with Peter Nadermann (Nadcon Film, Germany), an expert in the production of international drama series. Financial backing for EFP PRODUCERS ON THE MOVE comes from Creative Europe - MEDIA Programme of the European Union and the respective EFP member organisations.